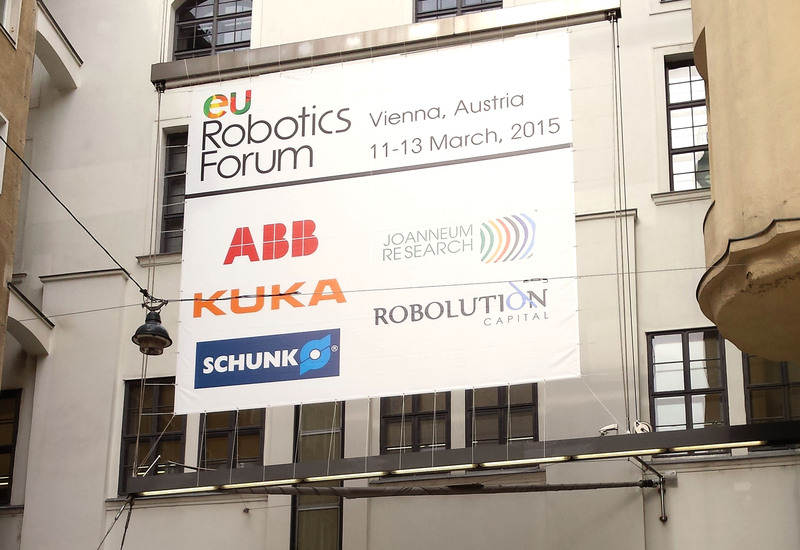 The euRobotics Forum is an annual event that brings together researchers, engineers, managers and entrepreneurs from all over Europe to discuss robotics-related topics and content as well as topics that have an immediate impact on the roadmap for robotics in Europe. 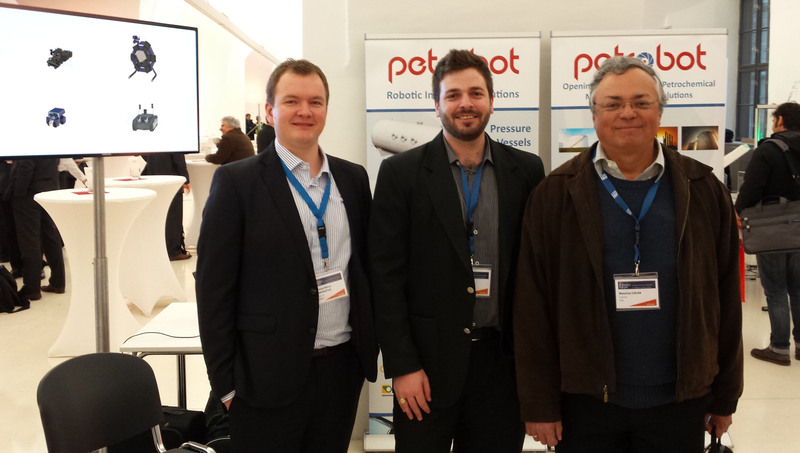 Members of the PETROBOT consortium attended the 2015 euRobotics Forum which took place in Vienna, Austria. 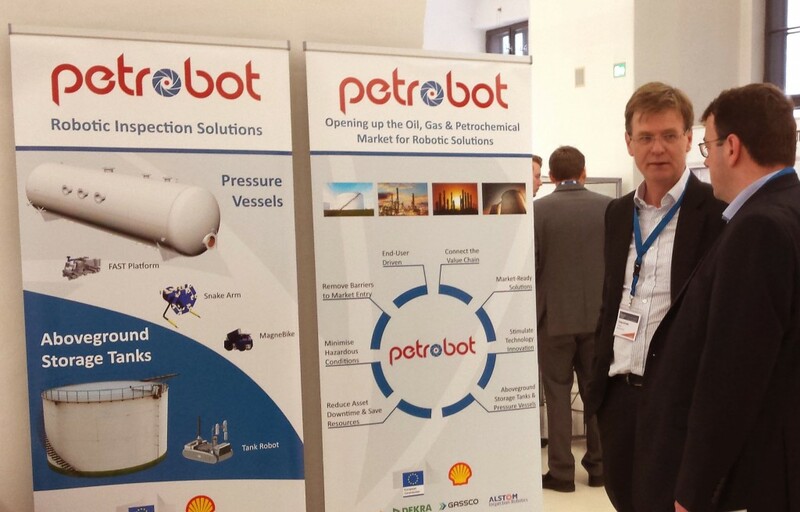 PETROBOT hosted a booth at the exhibition where it had some of its robotic equipment and technology on display. The event was attended by approximately 750 delegates. 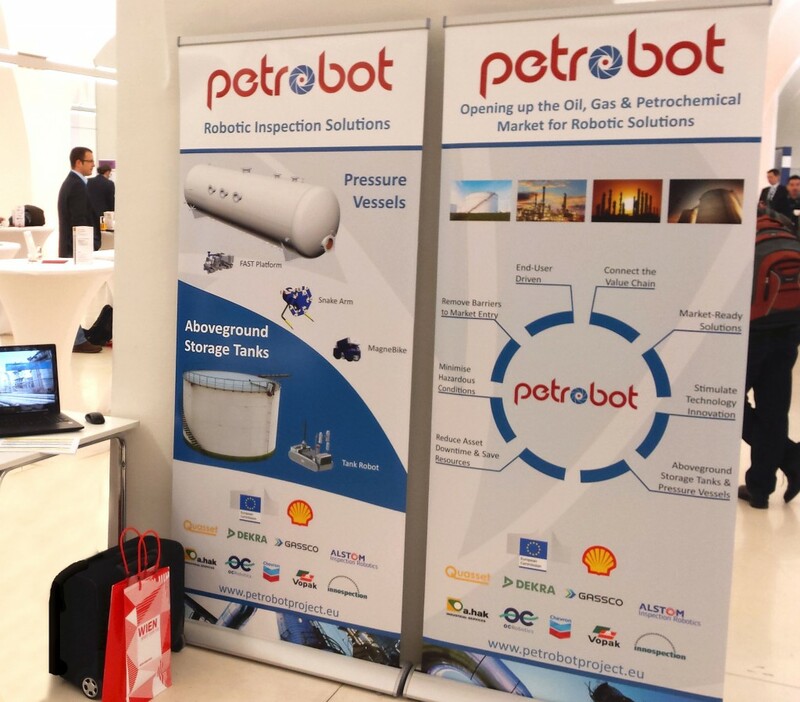 The booth layout and banners were prepared and approved by the newly formed PETROBOT Editorial Board, which has one representative from each of the PETROBOT consortium members. The booth was manned by members from Quasset, A.Hak Industrial Services, DEKRA, OC Robotics and Alstom Inspection Robotics. 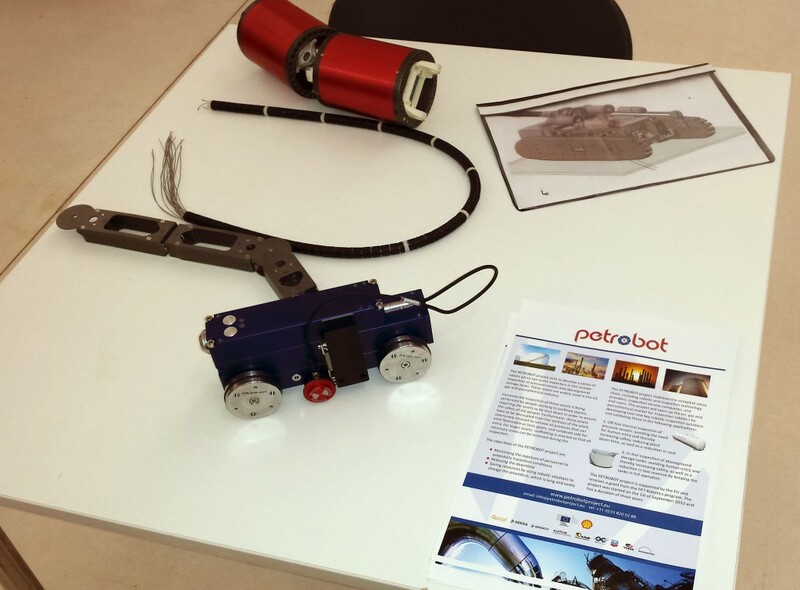 Visitors and guests showed lots of interest in the PETROBOT project, acknowledging and sharing enthusiasm for the meaningful and practical objectives of the project.